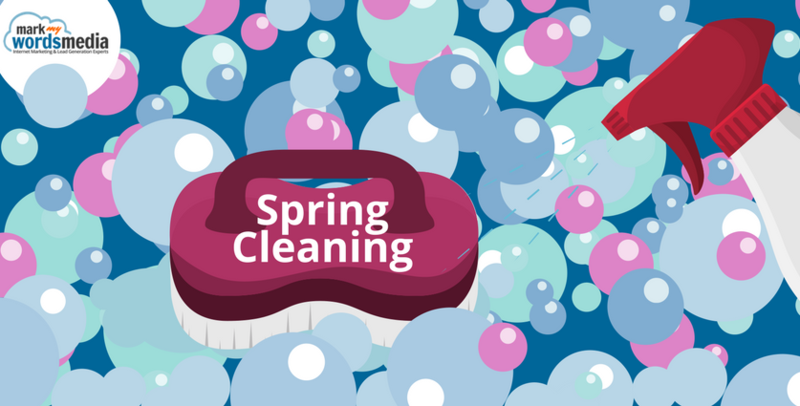 The fresh renewal of April showers brings more than May flowers- it provides the perfect opportunity for some spring cleaning! As a digital company, we have to do more than clean our physical desks. We have to make sure that our online office is in good shape as well. For us, cleaning is all about organization. We have a huge collection of files, documents, and materials that we use to market our business, support our clients, and track our results. Having a process and structure for file storage and retention means that our team is able to quickly and easily find what they need. This leads to increased efficiency, higher job satisfaction, and increased results. We have cleaned and updated our client area to make it easier to find the things you are most likely to want. 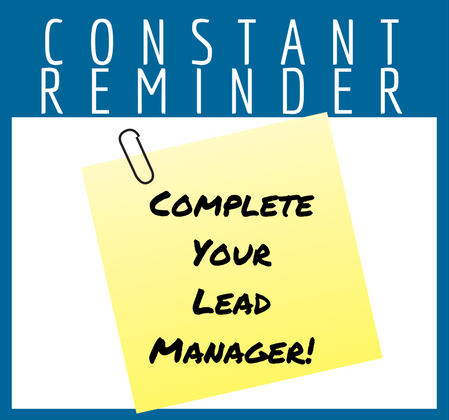 We have also added a button to schedule an appointment with your Project Manager. We are working on cleaning up your site as well. Currently, we are working on reviewing the menus, images, and structure of our client sites for improved speed, navigation, and conversion. Our focus is on optimization year-round and we will continue to share updates and changes as we roll them out. Our Signworld partners will have the opportunity to meet Scott, Thomas, Chris, & Emily at the upcoming convention! We look forward to seeing you at Booth #205! 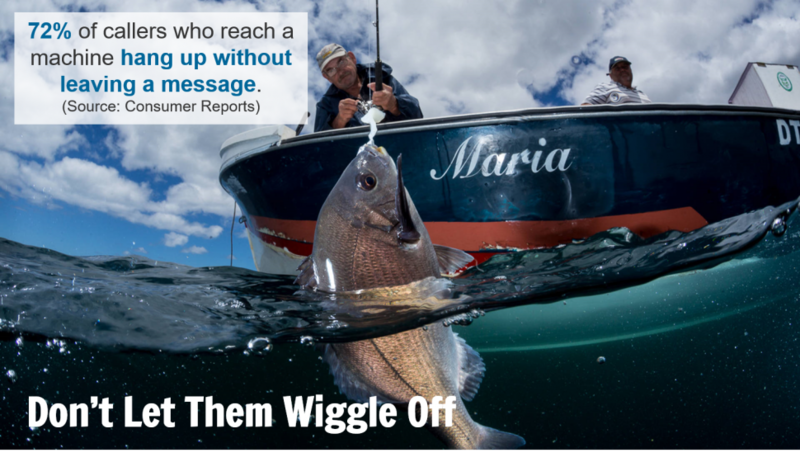 Mark My Words Media will be presenting an education session, called Get More Fish In The Boat, at the Signworld convention this Saturday morning at 9:00 am in Trinidad 6. 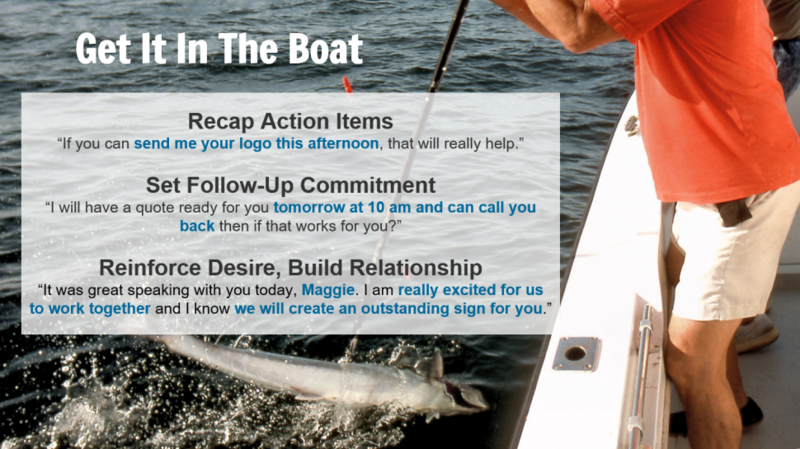 Here is a sneak peek of our upcoming presentation, with information any business owner can use to improve their sales. Every time, with a professional greeting. Keep your mouth shut and let them tell you what they want. Relate to them in some small way. Reaffirm for them that they are making the right choice. 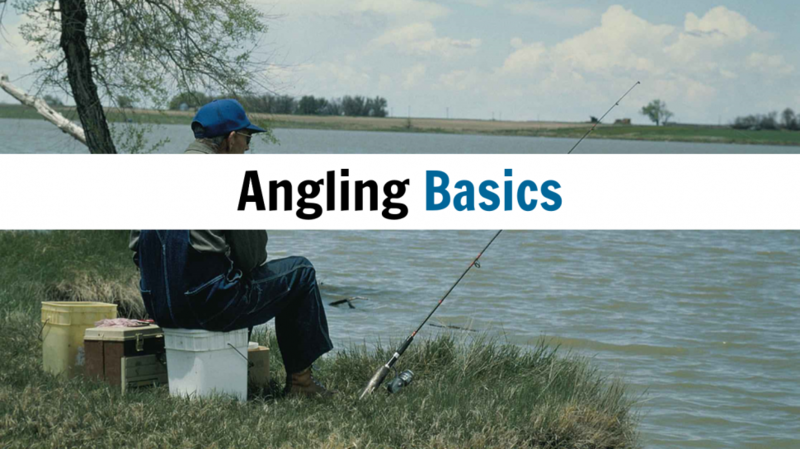 Get their information early in the conversation. Let them know that want their business and have the required experience to deliver. Let them know what you need them to do next. 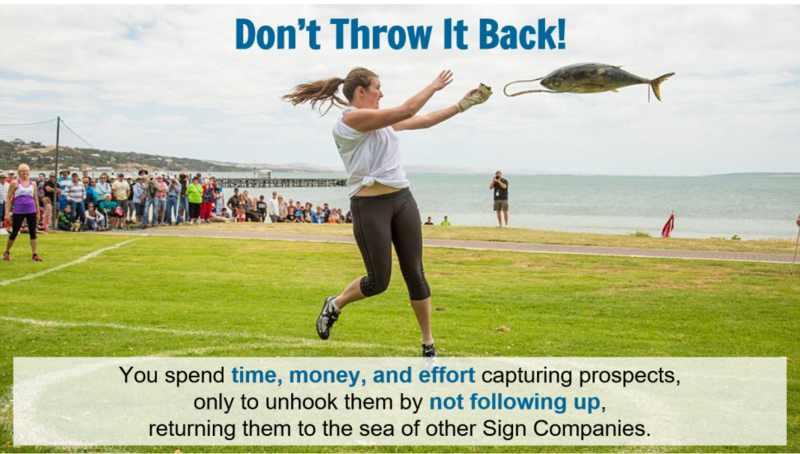 Set a firm follow-up commitment and keep it. “I will have a quote ready at 10 am tomorrow and can call you backthen if that works for you? Tell them again how much you want to work with them, use collaborative words like “we” & “us”, and always call them by their name. 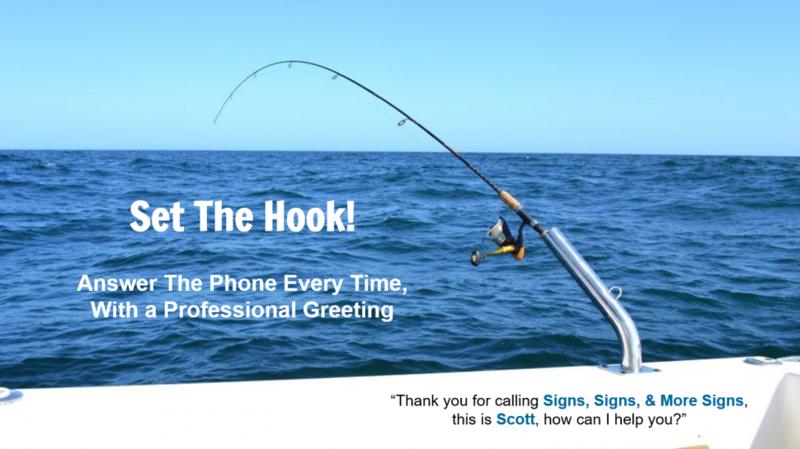 Once you’ve hooked a customer, don’t throw them back! 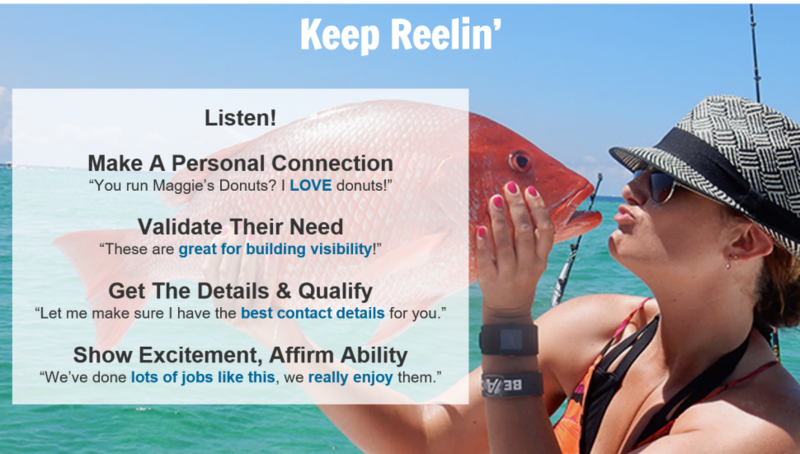 The right initial conversation goes a long way in building the relationship, but you must live up to the commitments you make and continue to follow-up with the prospect long-term to maximize your lead potential. Shout out to Ben King of King Signs, Wraps, & Graphics! Ben went above and beyond to help us with our Signworld convention planning, providing outstanding information regarding the leads we have delivered and his results, including profit, future jobs, and images of the completed signage. We truly appreciate all of our partners that assist us by providing referrals, leaving positive reviews, giving feedback, and communicating the information we need to not only better support them, but to grow our business, and provide better results for future clients. Have questions or want to learn more about Mark My Words Media?